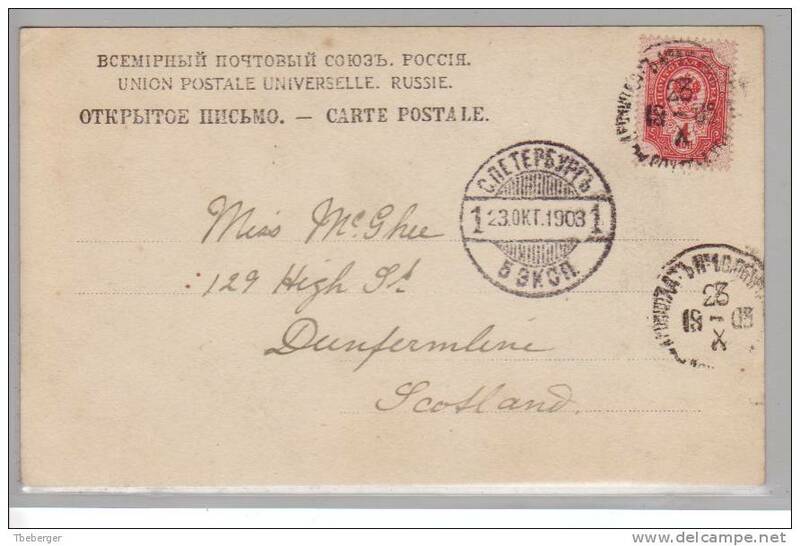 I am selling my postal stationery and postal history collection of Russia and independent Ukraine. You can find these items in the postal stationery and postal history sections of Russia 1857 to 1923 and Ukraine. Low starting price and no reserve. For further details see the scan or ask me by mail at TBBerger@gmx.net Buyer pays the actual shipping costs. Payment within Europe: direct transfer to bank accounts in Germany or Switzerland or French bank cheque, Moneybookers. Payment from overseas: Cash (Euro, CHF), Moneybookers, or alternatively with Paypal after addition of my Paypal fees (3.9% + 30c.) Shipment after receipt of money. Fragen? Sehen Sie die scans an oder schreiben Sie an TBBerger@gmx.net vor einem Gebot. Der Käufer zahlt nur das Porto. Bezahlung: Bankkonten in der Schweiz und in Deutschland (IBAN / BIC), Scheck in Frankreich oder Moneybookers. Versand nach Eingang des Geldes. Questions? Voir les scans ou ecrivez à TBBerger@gmx.net. L´acheteur payerai seulement le port. Paiement en Europe: cheque d´une banque française ou de La Poste en Euros; transfer direct à mes comptes bancaires en Allemagne ou Suisse; Moneybookers Envoi après reception d´argent. 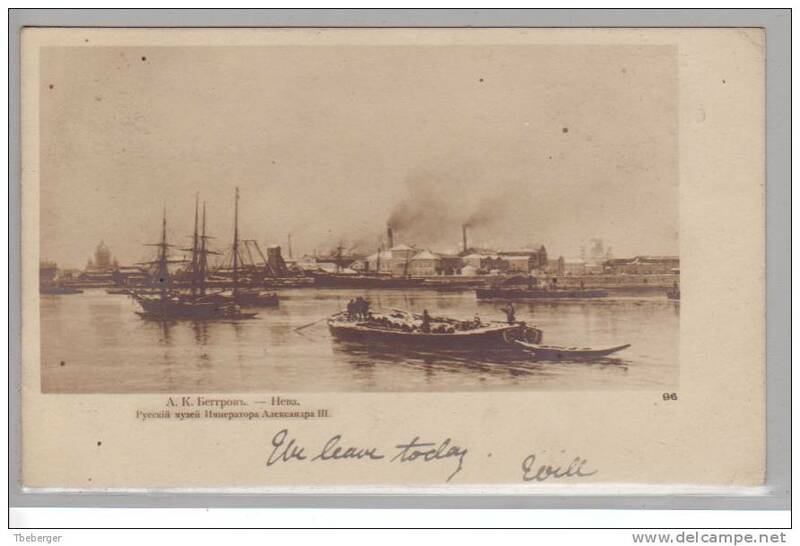 RUSSIE - CARTE POSTALE POUR LA FRANCE - LE 22 JUIN 1902 - SOUVENIR DE REVAL. 4k Imperial Eagle with Posthorns and Thunderbolts Postal Card 1894 Riga to Berlin, Germany. Estonia. Registered large size cover with 7k(3) stamps tied Railway Revel / zh.d.p.o. ; with arrival cds.